As far back as I can remember, I have been shopping on Black Friday. It is honestly one o my favorite holidays and, I am not entirely sure why. It could be because I love shopping, or it could be because I spend a fun morning with family, but either way I absolutely love it. 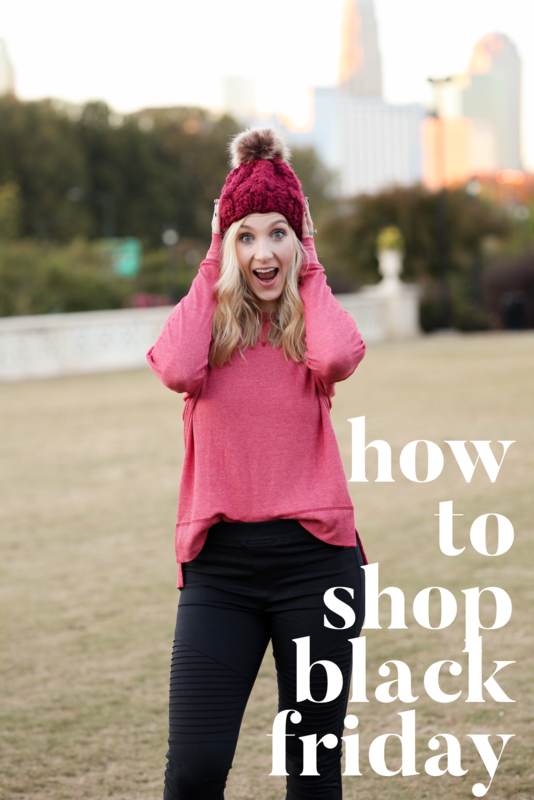 Coming from a family of four girls, I grew up knowing how to shop. There is nine years difference between myself and my oldest sister and due to this age gap, I learned quickly how to navigate our local mall. Thanksgiving weekend was always so much fun to me because we would spend the days leading up to it checking out the deals and figuring out where we would want to start our shopping spree. Then, after Thanksgiving was over, we would all come together and decide our plan of attack. We would then wake up (we were the early birds) at 4:30am, pull on workout clothes, and head out. Even as a write this, I get giddy just thinking about all the fun. Being the seasoned shopper that I am, I feel it is only appropriate to teach you all exactly how to shop one of my favorite holidays! First, you need to know who is involved. Your Black Friday experience is going to depend on who you go with. This shopping is not for the faint-of-heart, so we don’t want any willy-nillys who are going to ruin our fun and want to leave early. Next, are the stores. Major retailers (except for Homegoods, boutiques, or mall specific stores) are not allowed unless all participants agree on the stop. These stops must then be done first and I highly recommend only choosing one. This is where the crazies are located, so you have to avoid as many as possible. If even ONE PERSON votes against you, you are on your own. I repeat. You are on your own. Now, that we have discussed that, it is time to think about if we want to incorporate Homegoods and any boutiques. This will very likely depend on the city you live in. For example, in California, we do Homegoods and the mall, but here on the east coast, I boutique hop. It truly just depends on where the better shopping is located. If you are doing boutiques, I recommend looking every single one up on social media the night before because they all open at different times and will have different deals (including sometimes freebies). I typically write down on a notepad when all of them open and their deals, then go from there. The best deal is going to be your first stop and so forth. After you have chosen your shopping locations, you must get all of your lists ready. I like to have a good idea of exactly what I’m getting for family and friends for Christmas by the time Black Friday rolls around, so I have an idea on anything I should look out for. However, this is just in case I see something. The real fun is in a different list, and that is YOUR LIST. The fun in Black Friday shopping, is shopping for yourself. I am going to be 100% honest. If you go into it thinking you are going to buy everyone’s Christmas presents in one day, all of the fun is sucked out of the event. Instead of enjoying yourself and the people you are around, you end up worrying and looking for other people. This makes the experience so stressful! When I shop Black Friday, I am not concerned about what I’m getting for others for Christmas. I just want to go out, sip on my peppermint latte, and embrace the Christmas spirit. If I happen to see some things on my list for others, that is SO awesome, but that isn’t necessarily my priority. I just want to enjoy, which is why I make a list for myself. The key on the day of, is to go early. No one is out, it is hardly crowded, and you can look and see everything. I start by getting up early, pulling on some comfy workout clothes (no one wants to be uncomfortable shopping), and head to Starbucks. Once, I have my coffee, I let the fun begin! Typically, I will set a budget and a time limit on myself so whichever one comes first, means I am tapped out. In this way you don’t overspend and regret all of your fun. Once you are done with your shopping, it is time to change into your leisure suit from yesterday’s blog post, grab some leftovers, and watch a Hallmark movie. As I said before, I love this holiday. It really gets me in the spirit, I get to spend time with people I love, and I get to shop. I mean, how could it not be good?!? Then, you have the rest of the weekend to enjoy with more family time and relaxing. Thanksgiving is about counting your blessings, living in the moment, and embracing all that life has to offer, what better way to do that falling right into the holiday spirit with people you love.